His candidacy ignited lots of emotions from millions of Filipinos. 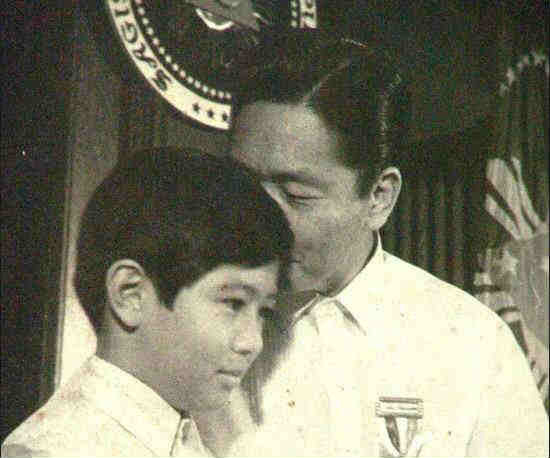 Those who voted and booted out his father and the entire First Family were aghast at the thought of having another Marcos being elected into the 2nd highest elected post in the country. Those who were victims of human rights abuses were scandalized that no apologies were issued from the Marcos family and it seems that they will be rewarded with the atrocities the committed by electing Bongbong Marcos. Those who fought vigorously against Marcos and his Martial Rule were unanimous in saying that no more Marcoses should rule the country but apparently their voices are just whimpers to Marcos loyalists and current crop of supporters. 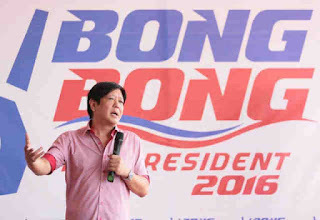 On the opposite side of the fence, Marcos loyalists were elated with Bongbong Marcos foray in 2016 electoral process as it is a sign of Divine Providence. The loyalists are still convinced that Marcos did nothing wrong to the country and the Great Apo still remains the greatest president ever the country has produced the loyalists claimed. 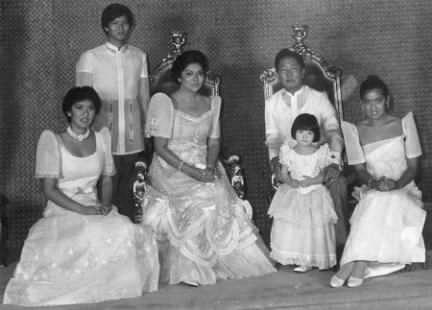 The current supporters of the Marcoses were so passionate of the son’s travails in politics that they are moving heaven and earth just to make it a destiny for Bongbong to become Vice President of the Philippines and hope that this is just a prelude to 2022 presidential elections. They are trying so hard to sell him to the voters to the point of distorting history by promoting that Ferdinand Marcos era was the best of times in Philippines history. They are also trying to convince that if there were sins the father has committed it cannot be the sins of the son also. For them, it is grave injustice to make the son pay for his father’s sins. However, there are also large numbers of Filipinos who are convinced that yes the sins of the father is not the sins of the son however, he is the living witness of the atrocities committed by the Conjugal Dictators and much more, he enjoyed the benefits, perks, and privileges of the crimes the parents committed. Both sides of the equation are convinced that they are correct in their logic. 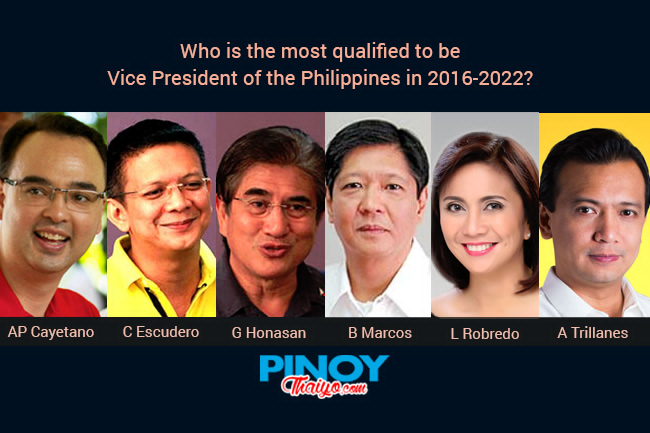 However, regardless whether you are pro Bongbong Marcos or against his candidacy, one thing that is very clear is that there is a great chance that he might win the Vice President contest. He has the much vaunted “Solid North” support. While during the 1995 national election, this support was not enough to carry him within the top 12 slot for Senators; he only placed 16th place. However, this was rather a very good placement considering that it was the first time that he run for public office outside of Ilocos provinces where he served as either governor or as congressman. 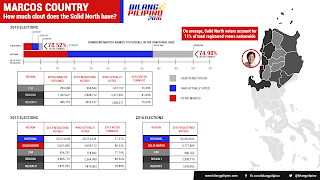 In addition, in 1995, the sins of the Marcoses were quite fresh in the minds of Filipinos thus, he was not able to muster enough votes outside of the “Solid North” forces. But, in 2010, he ran again as Senator and placed 7th over-all. 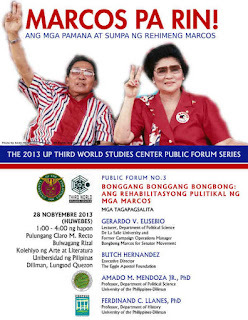 Perhaps, there were quite a number of Filipinos who forgave the Marcoses or were just disappointed with Philippine politics as they perceived that there was not much difference between Marcos politics and the succeeding administrations after him. Thus, he gathered more votes this time from outside of his turf. He has the resources at his command. The Marcoses are worth billions and with this great wealth the family can finance any political campaign and still end up being billionaires. 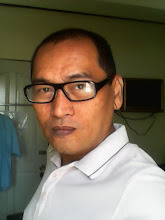 It is part and parcel in Philippine election setting that vote buying is one of the most reliable strategies during elections provided of course if you have the money to buy votes. The Marcoses are no stranger to this thing and perhaps they might have elevated vote buying to higher level. The Filipinos are disappointed and bringing back Marcoses doesn’t matter anymore. The promise of new politics right after the First Family was exiled in Hawaii did not materialize. Instead, the issues that the Marcoses were guilty of are still present. 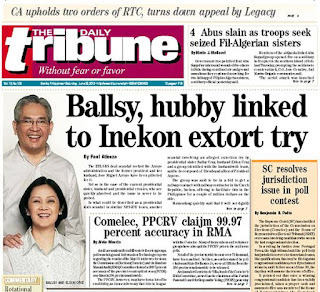 Cronyism is alive under what was known during Cory Administration as “Kamag-anak Inc.” The human rights abuses against the “masang” Pilipino did not vanish into thin air instead continued under both mother and son administration; the Olalia Massacre and just recently the Kidapawan massacre just to name a few. 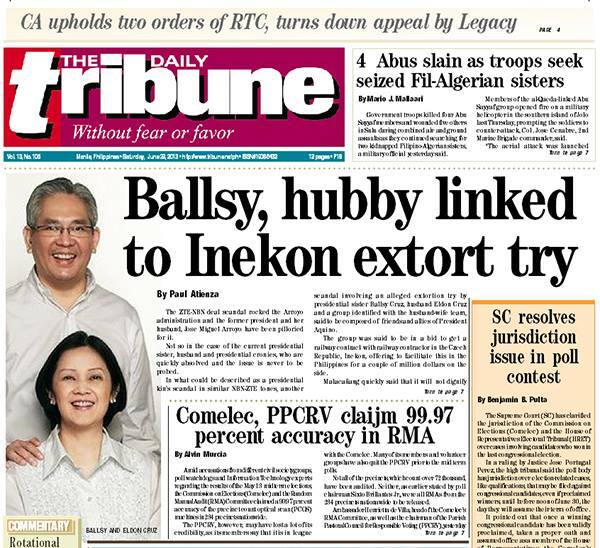 Corruption is still rampant thus, many voters don’t care if Bongbong Marcoses hasn’t apologized yet for the sins his family committed during Martial Law years. It doesn’t matter anymore if the stolen wealth weren’t returned yet to the Filipinos. For millions of Pinoy voters, his foray into politics is one way of getting their shares with the Marcos loot. His election is a sign that Filipinos are disappointed, frustrated, and disillusioned. He has no formidable opponent. Running against Chiz Escudero is not difficult to tackle, in fact, it is highly possible that both families might agree on backdoor negotiation as both families were good friends. Alan Cayetano has weak charisma and if not for being attached with Duterte his candidacy is just as good as that of Trillanes. Even Leni Robredo is not a tough act to battle. Both can play the sympathy game but Bongbong has “Greek tragedy” like life story that warrants Divine Justice provided that he can convince voters that his father was unfairly treated or judged. 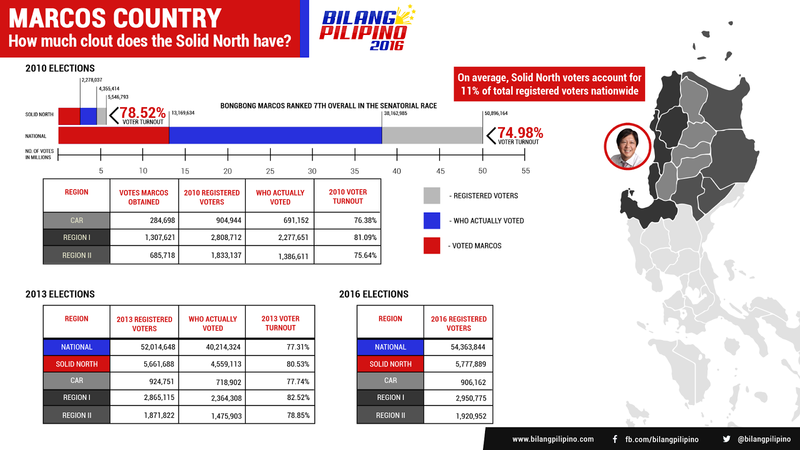 If and when Bongbong Marcos will win the Vice President seat, Filipinos are the ones to blame. The political system has failed to install measures that will prevent candidates like Marcoses to relive their lost glory. The Filipino people in general were to forgiving that huge numbers of Filipinos welcomed the Marcoses after over a decade of exile which is so different with the Italians where its royal family who connived with Mussolini remained in exile for 57 years were met with disgust when they returned to Italy.